Frax HD: This alien is a fractal Julia set! You can smoothly zoom in in real time – using the accelerometer! – and explore endless mathematical landscapes. Forget about entering complex coordinates and parameters and then waiting until the Mandelbrot or Julia set renders on your screen. 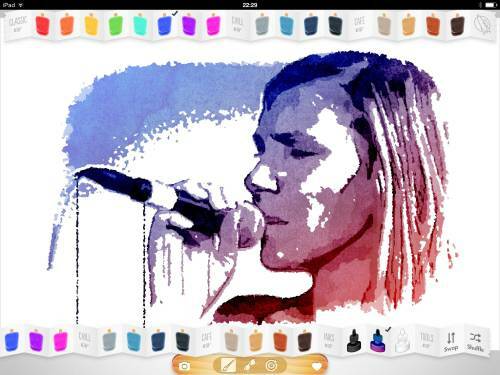 Dive in and change colors, lights, and textures by simple touch gestures. Frax is neither a toy nor a game. Instead it is a looking glass into the structures of our universe. 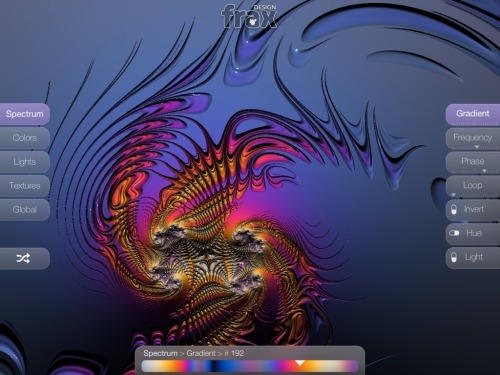 Frax was designed and developed by Ben Weiss, Kai Krause, and Tom Beddard. Visit the gallery of my fraxes here. 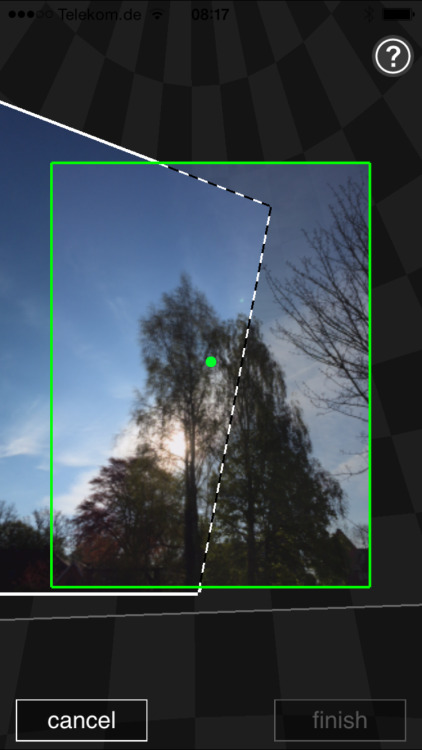 Photosynth is a pretty amazing tool to capture spherical panoramas. Turn around and take a set of images. Then they will be blended into one interactive projection. Photosynth is based on Seadragon, which was acquired by Microsoft some years ago. Blaise Agüera y Arcas’ TED talk is a must-see on the subject. The app itself needs some fine-tuning. I am afraid the core team moved on. 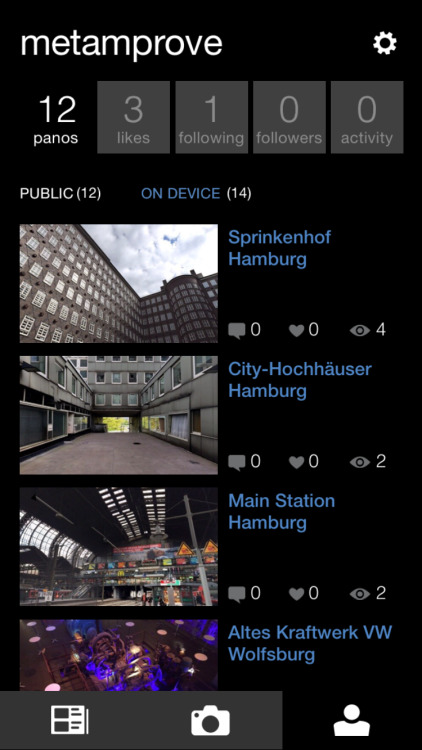 But please have a look at my photosynth’esized panoramas. Snapseed 2. It seems that google has waited for my recent post on Snapseed 1.6 to release a completely redesigned version of Snapseed. One item checked off from my wish list: Snapseed contains multiple undo and multiple redo functionality including “re-adjusting the past”. Impressive. The rest of the redesign is debatable. The current state of the image is displayed full screen – much larger than before, which is good. You can even zoom in further to check the details. 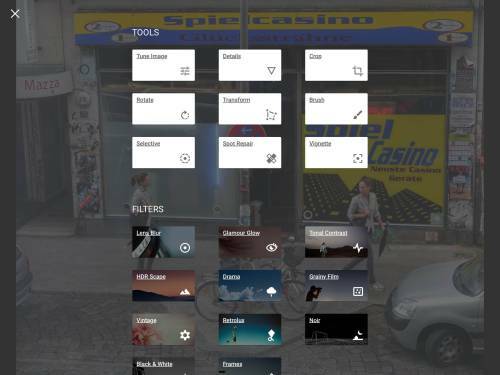 As a trade off the tools are accessible via a (+) control button to be revealed as an overlay. A simple GOMS analysis would show that this takes approx. 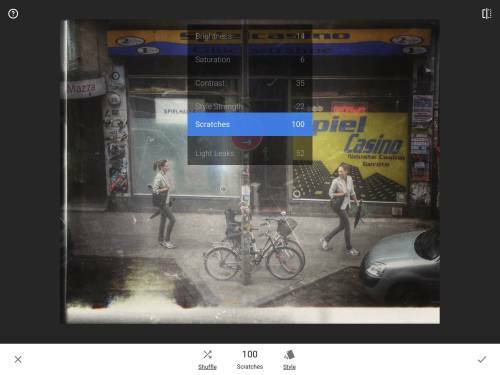 twice as many steps to choose a filter compared to the interaction model in Snapseed 1.6 before. 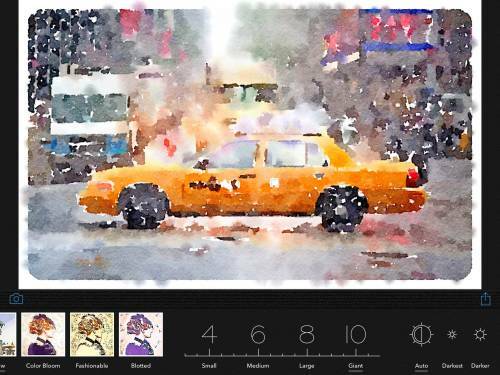 Of course, the filters have been reorganized and a couple of new tools are available. I will update this post when my first impression is no longer dominated by sorrow on the loss of the Grunge module. 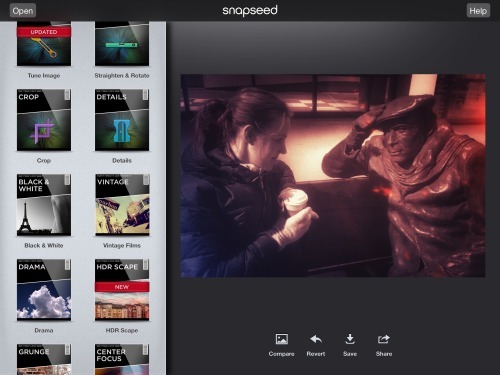 Right now it feels that Snapseed lost its personality. [Update 29-May-15] Grunge is back. Yeah! 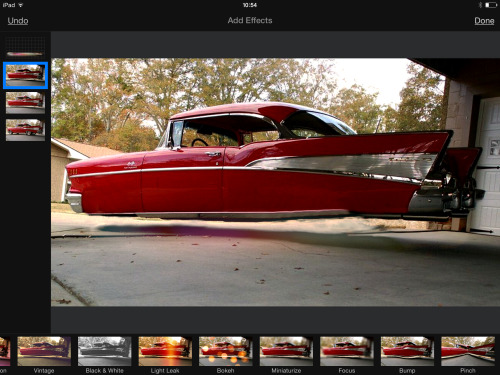 Snapseed 1.6 was a wonderful app for the post production of photos. The interaction model matches the properties of the touch tablet without being too fancy or too dumb. It is a joy to control and witness the process in which the pixels develop into some pieces of art; my Snapseed portraits. On my wish list: better undo or even version management. In fact Undo does not exists and Revert propels you back to the stage when the image was first opened. Warning: If you love the current Grunge module do not update to Snapseed 2 b/c google made the unfortunate decision to remove it. Only caveat: use the latest hardware b/c rendering is not the fastest for playful experimenting.